Congratulations to the Arataki Taekwondo Club from Henderson, Auckland who attended the TUNZ North Island Taekwondo Championships held at the TSB Stadium in New Plymouth on 30 March 2019. This was the first time the club has entered a tournament having only been established in July 2018. Of our eleven competitors entered seven had never been to a tournament previously let alone competed. The day started with the team arriving at the Stadium at 8 am. The first hour was utilised by the competitors to warm up and the coach to critique the technical side of Poomsae (patterns) performance. The traditional welcome was held with all of the teams and then the competition got started. Poomsae was the first event to be conducted and we had six competitors entered. All of them performed well but the competition was strong. Four of our competitors managed to medal with 3 silver and 1 bronze medal collected with 3 of these being first time competitors. Fighting was up next and this event always generates a lot of passion from the competitors, coaches and supporters. Again we had a number of first timers but all of them and the seasoned fighters performed well. One pool of 4 had 3 of girls competing against each other with 1 of them achieving gold and another bronze. Another pool had 2 sisters competing in it with them both making the final and this was a hard fought grudge match fought in great spirit. Overall fighting competitors collected 2 golds, 5 silver and 1 bronze. A fantastic result given the high number of first time fighters. I am extremely proud of the effort, team work and comradery shown by the whole team and we are determined to do better at the next tournament. Of course none of this would have been possible without the generous support of the Chillex Group of Companies who ensured all of our competitors were safe and well protected with the correct safety equipment. 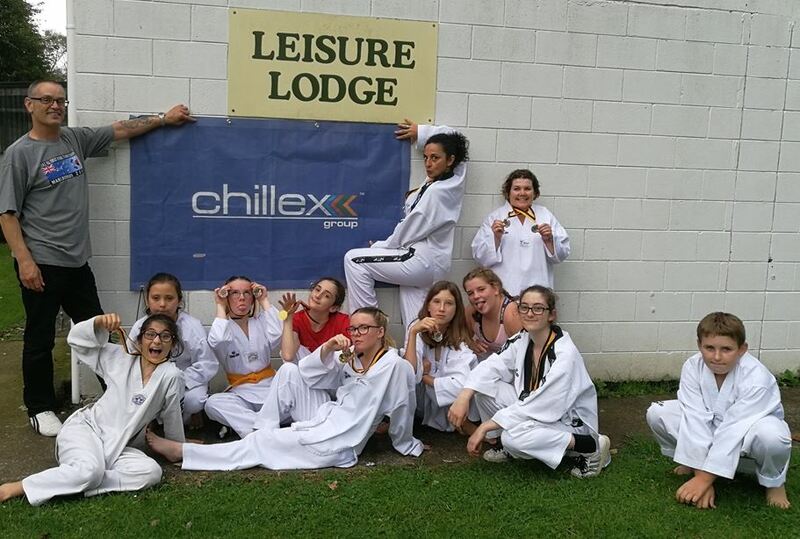 On behalf of the team and all of the parents and supporters I would like to sincerely thank the Directors and Management team of the Chillex Group of Companies for their support and encouragement for the Arataki Taekwondo Club. Great Team work guys – looking forward to seeing what you all do next year! !